Here it is, folks. My very first YouTube video tour in all its craptastic glory! Okay, this is weird. I'm hearing Stan Getz in my office (where I am) and in my living room-- at this very moment. Jazz Samba in here, Best of the Verve Years in there. And, you know, old Stan doesn't really sound all that great playing two different tunes at the same time. Live and learn. Marvelous. I always amazes me how I can hear how a system sounds even through a youtube video and my crappy computer speakers, but somehow the character manages to come through.... and what lovely character that is! Excellent! Great setup and gear!! Enough tube stash?? I don't know if that crappy video's worth more than a single viewing session. It's definitely a little better in real life. My vinyl playback needs work right now - the phonostage is the weakest link, by a good margin! Thank you! Enough tubes? Well... I'm not sure I know. I still want more. Reactions: opa1, fiddlefye and MikeT. Speaking of stashes - I still need to empty out that box of my father's radio/audio building gear. A casual glance at the top level saw a Hammond transformer, not sure of what variety. Tubes are probably most of the radio variety I suspect. Nice! Are those the first edition 46 mono blocks? Loving that Rek, has a clean industrial look to it and the plinth almost looks like aged leather. I am sure it sounds much better in person. Great setup! Indeed! The original and only, at this point. Loving that Rek, has a clean industrial look to it and the plinth almost looks like aged leather.im sure it sounds much better in person. Great setup! Thanks. The plinth is a piece cut from an old workbench top that came out of a machine shop, well seasoned with motor oil. Really top notch all the way around! Those are some cool bits of kit you've gathered there Nate. I'll echo the compliments on the ROK! Heck, everything you've got there is uber-cool. Especially, the lamp. It really ties the room together. A coworker (that isn't into audio) walked by as I was watching the video, so I started explaining what things were and what they did. Okay, I'm convinced. The lamp is essential. By the way, I did watch your video again, this time unaccompanied by the racket from the other room. Huge improvement. Really really nice. I will look at this video anon. 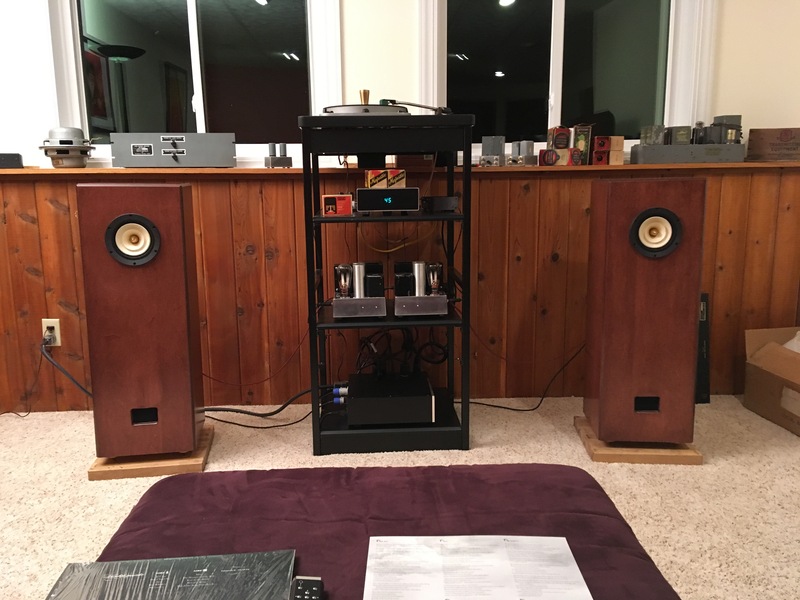 It will probably give me hifi envy -- most hifis do. Kewl man! I like videos like this and have done a few myself. What camera did you use? Some people knock it, but you CAN actually hear a room/stereo through these videos. Which is why I do it as well. Thanks for sharing, Nate! Perhaps some commentary on the equipment and music used would be a good addition to your next one. Thank you! I did this video mostly because I enjoy watching them myself, and I wondered what it takes to make one. Suffice it to say you won't see a Redboy YouTube channel anytime soon, but I might try it again in the future. If I do, I'll put a little more effort into it. I just used my iPhone 6 for this, with zero editing. It's been awhile since I posted any updates, but that's largely because I haven't made too many changes! A couple of Lenco Heaven guys came over this past weekend for an birthday/anniversary celebration (LH is 10!). I totally forgot to take pictures, but my friend Scott snapped a couple! Here are his pictures of the current system. 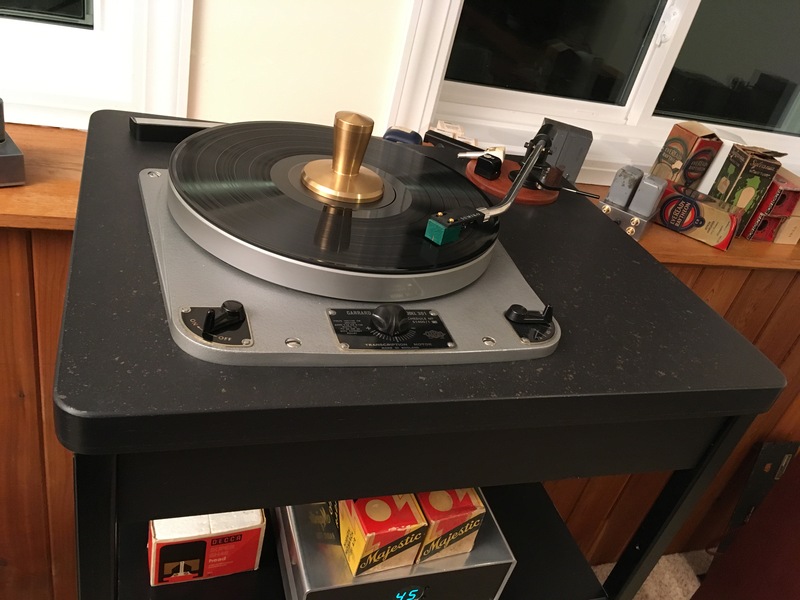 The 301 and a Ray Samuels phono pre are the newest kids on the block.